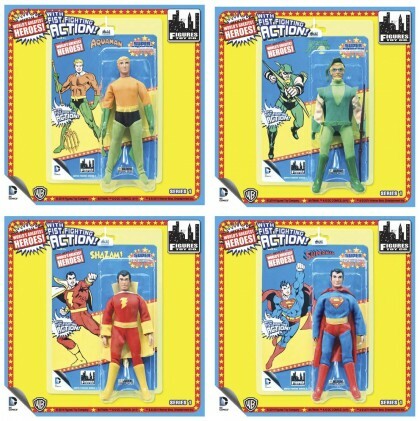 JUSTIN’S PICK :: DC SUPER POWERS 8 INCH RETRO ACTION FIGURES: Comics are the peanut butter to merchandising’s jelly. There is something archly appealing about seeing our favorite characters rendered in three dimensions, and that impulse has spawned a cavalcade of…stuff, spanning generations. Now, two generation-defining toy lines – Mego and the Super Powers Collection – get melded in this new series of figures by the Figures Toy Company. 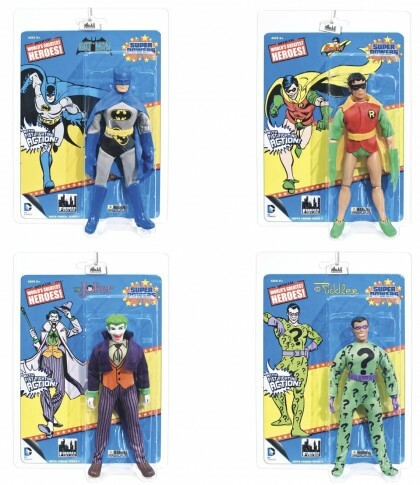 Heroes has always been a comics-first establishment, and that principle will always guide us, but these figures….THESE FIGURES…were too cool to resist. And with gift season soon upon us, there’s a character in this selection to please the frothing fanboy in YOUR life (that’s if the staff doesn’t snap them all up first! ).